If you've faced a military move, you've probably heard someone say, "Well, at least the military moves you!" While that may be true, there are still expenses--some expected and some unforeseen--that are part of a military relocation. MilitaryByOwner's free ebook, Quick and Easy Steps to Prepare for Your PCS Move, includes a helpful section on budgeting for a PCS, including preparing for the unexpected. While you're likely familiar with the military's Dislocation Allowance and reimbursement for Personally Procured Moves, it's wise to plan ahead. For instance, have you considered setting aside funds for the following? Whether it's carpet stains, broken fixtures, or other damages in the house you're renting, consider getting an estimate of how much repairs will set you back and how much of your deposit you'll be seeing again. If you're a homeowner, you'll probably choose to have a home inspection before putting your house on the market to rent or sell, not to mention home staging, advertising, realty fees, and any needed repairs/maintenance. There will likely be a gap between the day you move out and the day your tenants or the new homeowners move in. Continued mortgage payments during this time may be the costliest part of your move. Vaccinations, health checks, quarantines, boarding fees, and travel costs for your animals can add up quickly. If you're flying your pet, you may also be required to purchase a crate that is airline approved. If you have more than one car, think about whether you'll sell, ship, or drive the second vehicle. If you're moving CONUS, you may end up renting a trailer for towing; overseas moves may find you choosing to pay to ship the second vehicle since the government will only ship one POV. If you're not able to move any perishables yourself, you'll be facing a pricey shopping trip or two to replace perishable goods, cleaning supplies, and items like new curtains for the windows that aren't the same size as any of the curtains you currently own. 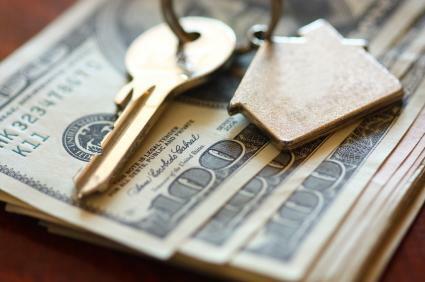 While there's no way to foresee every possibility, expanded tips on the above areas as well as help with prepping your home for rent or sale are covered in much more detail in the following ebook from MilitaryByOwner. 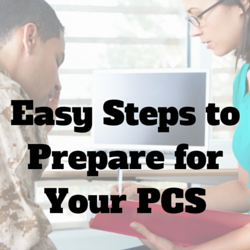 Click below to download the FREE ebook, Quick and Easy Steps to Prepare for Your PCS Move!